Biodynamic agriculture was the first ecological farming system to arise in response to commercial fertilizers and specialized agriculture. 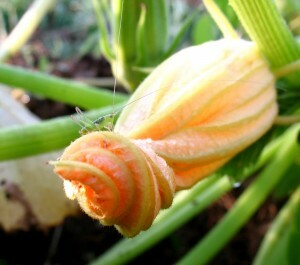 It is the highest standard of organic and sustainable farming yielding maximum soil health. Optimum soil health fosters a healthier environment and more nutritious plants which of course lead to healthier animals and human beings. The concept of biodynamic farming was introduced by philosopher and scientist Rudolf Steiner (1861-1925), an Austrian scientist and philosopher who had spent all his life researching and investigating the forces that regulate life and growth. In 1924, Steiner offered the Agriculture Course lecture series (the foundation of biodynamic farming) to aid farmers who observed that following the introduction of chemical fertilizers at the turn of the century, soils were becoming depleted and the health and quality of crops and livestock were deteriorating. Thus, biodynamic agriculture was the first ecological farming system to develop as a grassroots alternative to chemical agriculture. While biodynamics parallels organic farming in many ways, it is set apart from other organic agriculture systems by its emphasis on farming practices intended to achieve harmony and balance. For example, emphasis is placed on the balance and relationship between farm animals and plants grown, between the earthly world and celestial influences, between wildlife habitat and farmland, and between physical and spiritual life forces. The farmer acts as caretaker and facilitator for all these relationships and strives to know and develop his farm at increasingly deeper levels. The biodynamic farm should function as an entity in itself as if the farm is an individual being and all the components are its organs which, when balanced and healthy, support the health of the farm as a whole. Biodyanmic farms aim to be self-supporting in that, ideally, it is not necessary to bring in elements from outside the farm and the farm should be able to sustain and feed itself in a natural cycle where humans and animals nourish the earth, the nourished earth in turn nourishes the plant, and the plant completes the cycle by nourishing the animals and human beings. 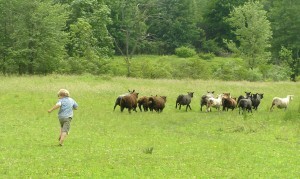 The ideal biodynamic farm should strive to be home to five primary farm animals: cows, sheep, chickens, horses, and pigs. Each of these amazing creatures make unique and vital contributions to the balance and health of the farm in terms of the way that they eat from the land, the nourishing of the soil from their manure, pest control, weed control, aeration of soil, and much more. Another important aspect of the biodynamic farm is the recognition of the influence that cosmic forces and earthly rhythms have on all living things. 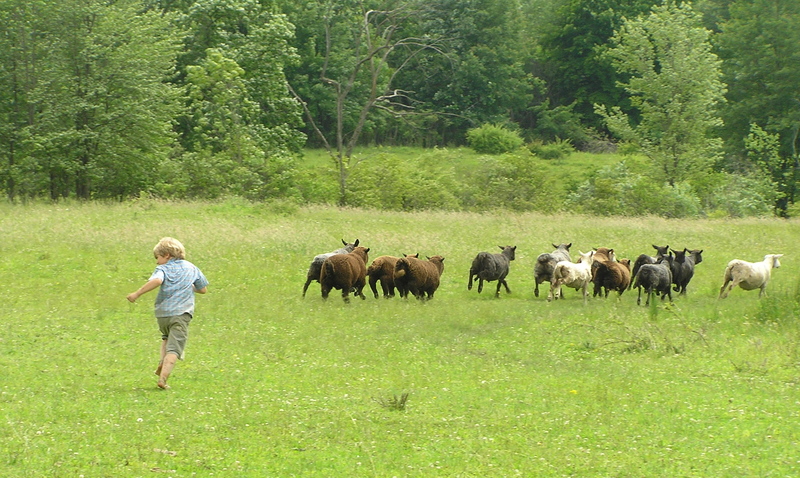 The biodynamic farmer will study astronomical data to discern the most favorable times for planting, cultivating, harvesting, tending animals, and making and applying biodynamic preparations. 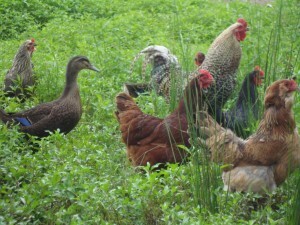 For biodynamic farms, soil improvement is obtained by proper humus management (application of organic manure and compost in the best possible state of fermentation), proper crop rotation, proper working of the soil, cover crops, green manures, diversity of crops rather than monocultures, and companion planting. Farm manure and compost are the most valuable fertilizers. Certain preparations are inserted into the manure piles in order to speed and direct fermentation and preserve the original manure values. The biodynamic preparations are made of medicinal herbs that have undergone a long process of fermentation in order to enrich them in growth-stimulating substances. They react like yeast in dough – by speeding and directing fermentation of manure and compost, transforming it into the optimal fertilizer. These processes result in a living soil imbued with incredibly nutritive vital life forces which are passed on to plants and then on to animals and human beings offering the opportunity for increasingly better health. To summarize, biodynamics uses scientifically sound organic farming practices that build and sustain soil productivity as well as plant and animal health. Biodynamic farming is practiced on a commercial scale in many countries and is gaining wider recognition for its contributions to organic farming, food quality, community supported agriculture, and qualitative tests for soils and composts. 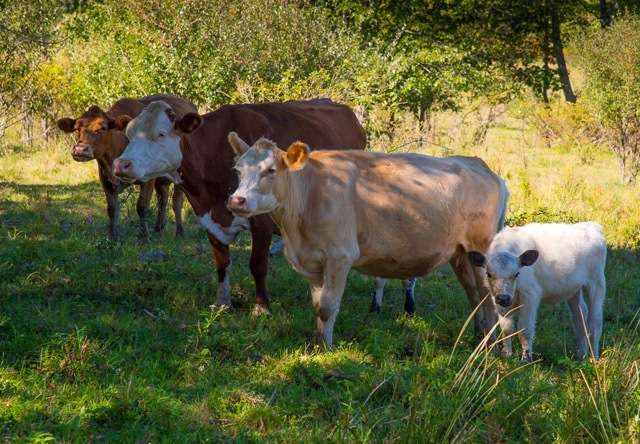 From a practical viewpoint biodynamics is proven to be productive, yield nutritious, high quality foods, healthy land and livestock, and freedom from the environmental problems associated with many modern farming methods.